Share Your Knowledge, Increase Your Income! for essential oils with others? “Tell me more about those essential oils that you use”? Having completed the Aromatic Wisdom Institute, Aromatherapy Teacher Training Program under the direction of Liz Fulcher, I have gained greater confidence in teaching my Workshops. During the four-day TTP, I was able to confirm what I have been doing right as well as recognize where I can make improvements to provide the best education to my students. This class also helped keep me from “reinventing the wheel” as Liz provides tons of useful and reproducible materials for teachers to use. I am pleased that I now have the opportunity to offer CEU’s to Massage Therapists. Liz provides all the information needed to become an approved provider for NCTMB, saving me hours of work! This has allowed me to “up the game” and attract even more students to my Aromatherapy Workshops at Sunset Essentials, Aromatherapy for Better Living. Thank you, Liz, for being my teacher, my mentor. I loved this class. In just five months after taking the class, I built a website (created it in the hotel while taking the class ), opened my own school, became an approved continuing education provider through NCBTMB, developed a 250-hour aromatherapy certification program and taught my first two-day class recently. Liz was there for me from the first day of my class and her support has been invaluable. Take the class, you won’t be disappointed! 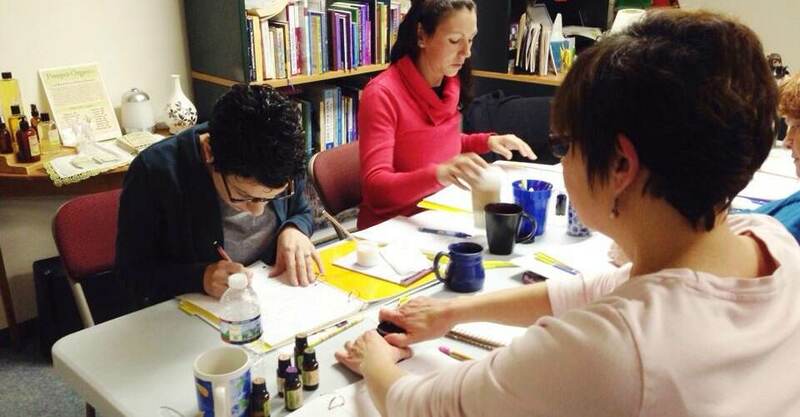 When I enrolled in the Aromatherapy Teacher Training through the Aromatic Wisdom Institute, I was ecstatic to learn I would be given the framework to design my very own hands-on aromatherapy classes. I completed the course with a wealth of resources and an easy-to-follow format of workshop activities. As an experienced teacher in the field of education and a newly emerging yoga instructor, I can honestly acknowledge how much this training embodies effective instructional practices and boosts the self-esteem of upcoming educators. Liz is extremely knowledgeable, caring, supportive, and is the perfect role model for future aromatherapy educators! In the world of essential oils, Aromatic Wisdom’s Teacher Training is a must-have in your professional development repertoire! Liz has the knowledge and expertise to teach you everything she knows about essential oils, blending and business. Most importantly, she makes learning FUN and is an absolutely authentic fun and loving teacher! It’s been worth it for me to travel from California to Pennsylvania to learn from her! Liz Fulcher’s 4-day Teacher Training Program is designed to empower students to teach fun, dynamic and profitable aromatherapy workshops and classes. As the modality of aromatherapy continues to grow and the use of essential oils increase, more people are using essential oils and often in a way that is unsafe or incorrect. Now, more than ever, we need teachers who are sharing excellent essential oil information with the public! The Aromatic Wisdom Institute Teacher Training offers students the opportunity to learn Liz Fulcher’s own dynamic and effective teaching methods so you can facilitate your own aromatherapy classes. Students will complete the 4-day training with tools, checklists and teaching techniques to comfortably offer a 1-day or 2-day workshop on the safe and effective uses of essential oils. Upon completion of the training you are granted copyright permission to use the student manual in your classes. A student manual for a 2-day aromatherapy class. Prerequisite for Registration: Completion of the Aromatic Wisdom Institute 235-hour Aromatherapy Certification Program, or an equivalent level of knowledge. 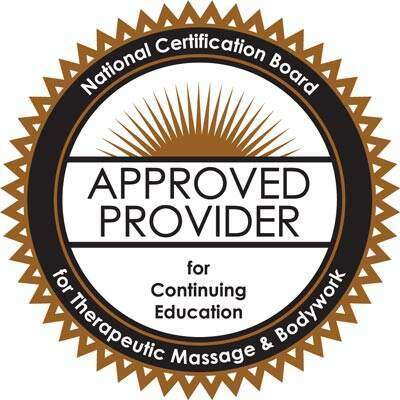 Continuing Education Units (CEUs): This Aromatherapy Teacher Training Program has been approved for 28 Continuing Education Units with NCBTMB (National Certification Board for Therapeutic Massage and Bodywork).